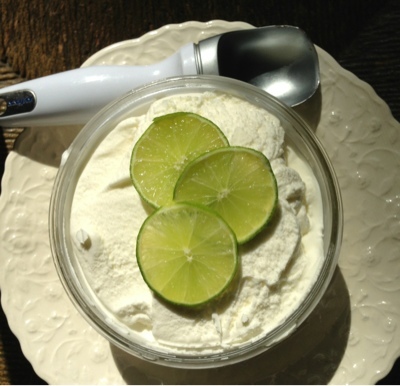 I liked the lime curd so much that I decided to try lime sherbet. Of course, since I purchased the limes at Costco, I have plenty. Mix together and freeze for 20-25 minutes in ice-cream maker. Pack into containers and freeze for several hours. So simple, no cooking, and we both liked it.